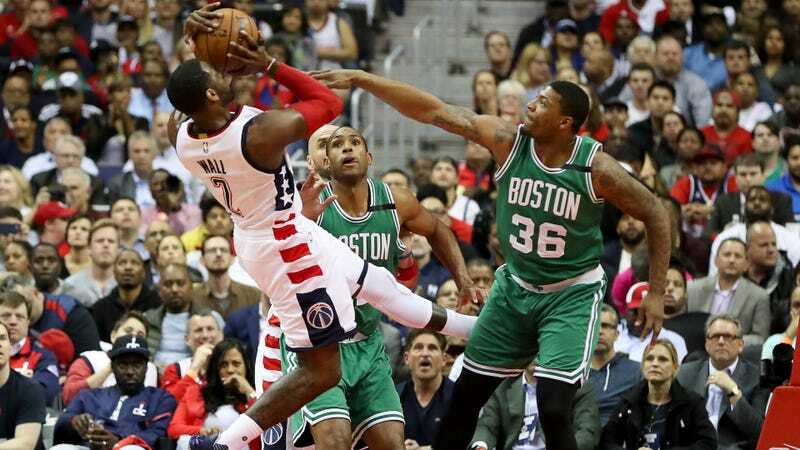 The Wizards dominated in the first quarter of tonight’s Game 3, going on a 20-0 run and heading to the second with a 39-17 lead over the Celtics. But you’ve heard that one before, and it hasn’t ended well for Washington lately. Tonight was different. Meanwhile, Isaiah Thomas was largely quiet after going off for 53 points in Game 2, with just 13 points on 3-of-8 shooting tonight. 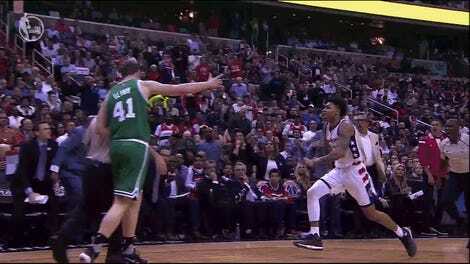 Things got chippy fast, with a total of seven technicals and three ejections—the first in the second quarter for Kelly Oubre for charging Kelly Olynyk after a hard pick, and the final two in the fourth quarter for Brandon Jennings and Terry Rozier in a scuffle of their own.